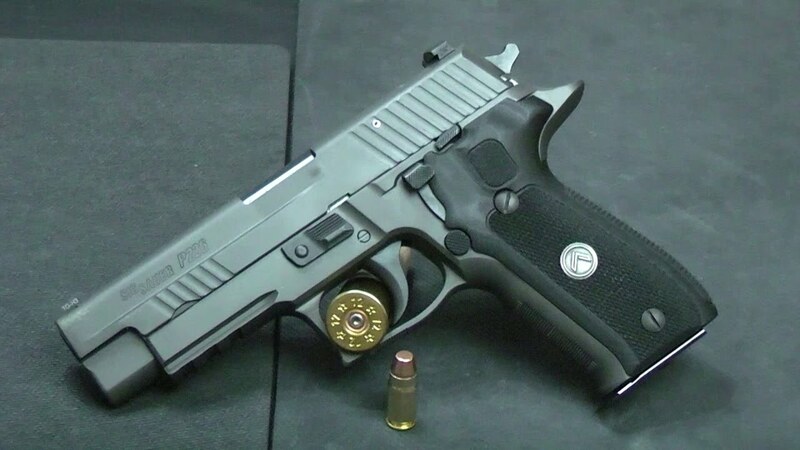 SIGforum.com Main Page SIG Pistols Do you test fire your CCW pistol after field stripping/cleaning? When you've field stripped your pistol for a basic cleaning, do you trust that everything went back together correctly and it will function as intended or confirm with a few rounds before putting it back in service? No rounds, put a pencil in it unloaded to check the firing pin. This, but only if I've removed the striker. If it's just a basic field strip cleaning, I slap it back together, dryfire, hold the trigger to the rear, rack and dryfire again to check reset, then load up and call it good. Never had a problem using this approach. I do not , but I do fire it again maybe that same week or so , then maybe a wipe down till next time . I do this once a week for my edc. Weather I shoot it or not. Just like Joe Kenda! After a range session, I usually remove slide, wipe down, lube, run patch thru barrel. Standard function check after cleaning. I use a pencil in the barrel if I've messed with taking apart the slide as well. My range is 15 minutes away and I'm not going back for a few rounds downrange. I just clean and carry. I don’t think my neighbors would appreciate me firing off a couple rounds. If you test fire it... then you have to clean in again, no? Function test, load and holster up. This sums it up for me as well. This right here, if I felt the burning need to ensure that it would work as intended again after cleaning, but normally I just clean, lube, function test, then load her back up. That perfectly sums it up for me.. I usually clean my guns before shooting . It may be that it has been a significant amount of time between range sessions now and I want to ensure that I have new, adequate lube on it. If I do a lot of shooting I'll run a patch or boresnake thru it before putting it away. This is mostly for range guns and I'll re lube my carry weapon periodically. Function check, no test fire. Yes, I test fire it after cleaning. We had an old Sgt that said "a clean gun is one that you have no idea if it fires or not"
I don't even go that far. I only do the pencil thing when I've completely broken the gun down. Otherwise I just pull the trigger and call it good. From several of the posts listed here, you mean that I'm supposed to CLEAN my Glock after each and every time I take it to the range??? Well I don't. Nor do I immediately test fire the weapon after those infrequent times that I DO clean it. Since I shoot it regularly for my own training and physical "up-keep", I wait for its round count to get to something "reasonable" before even thinking about getting serious over field stripping it for a cleaning (somewhere around 500-1000 'bangs'). Otherwise I just check the bore and run a snake through it if need be--which in itself rarely happens--and call it GTG. Even then this gun keeps working, since in the past I've pushed it close to 3000 rounds before cleaning, and even then that done more out of guilt for not cleaning than out of the gun truly needing it. So if I were to test fire it after cleaning, I'd have no problem leaving it "dirty" ...if one could actually have the nerve to truthfully call it that. No with one exception, Kahr pistols. I like kahrs but had on 2 occasions with 2 separate pistols found myself with a single shot gun. It turned out that when reassembling after cleaning the slide lock did not sit correctly in the lug under the barrel. Everything seemed to work right but once at the range it would fire once then not want to go completely into battery. I called kahr the 1st time it happened and they knew exactly what was happening. They had me break it down and reassemble and it worked fine. The second time it happened with another pistol and I took it apart and reassembled and back in business. Thankfully both times were at the range and not when I needed them. I still trust kahr pistols but verify they work through a full mag before I carry them. I don’t. I guess i5 all comes down to which type of OCD you have. Quick Reply to: Do you test fire your CCW pistol after field stripping/cleaning?